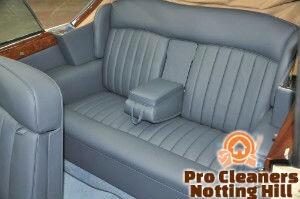 If the car seats and upholstered areas in your vehicle have become darker, stained and looking dull you can use our professional services to make them shine. Our cleaners provide effective and thorough washing and refreshing of car interior using excellent quality preparations and equipment. You can benefit from our flexible, customer-focused services that ensure great results and can fit any budget. Leave the car upholstery cleaning to the experienced staff in our company, located in Notting Hill and you will receive impressive results. We implement professional sanitising that will make your car interior healthier and refreshed. 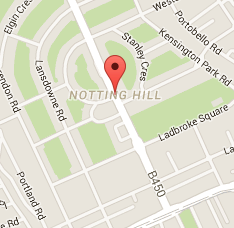 You can be sure that the results of the car upholstery cleaning that we offer to the W11 residents will be excellent. Our cleaners are professionally trained, experienced and know how to wash and sanitise all upholstery fabrics. They check them in advance and choose the most appropriate preparations, machines and tools for cleaning. The technicians remove the hairs, crumbs and dirt particles using a soft bristled brush. They spray all upholstery surfaces with cleaning solution and leave it to work. After the necessary time passes, the cleaners hoover the detergent and soiling and apply hot water extraction. It ensures excellent washing and deep sanitising of the car upholstery. In case you have leather upholstery, our staff will clean it using microfibre cloths and special preparations for leather. Then, they apply a moisturiser over it. Make the interior of your car healthy and impeccable using our second to none car upholstery cleaning services conducted in Notting Hill at a preferred by the customer day and time.